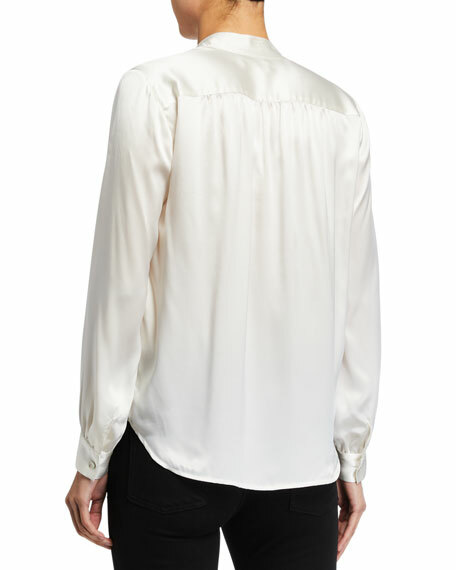 L'Agence "Bianca" silk charmeuse blouse, gathered at shoulder. 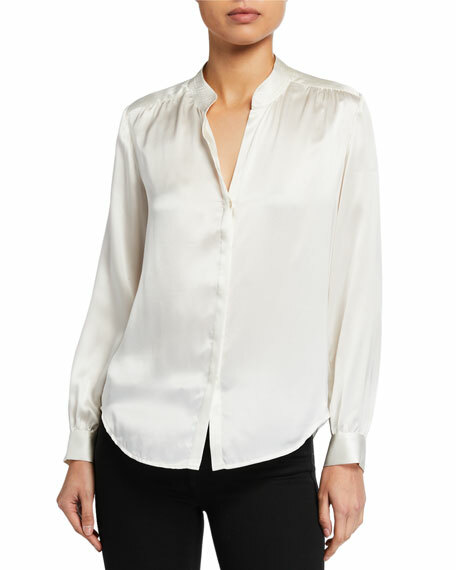 V neckline; concealed button front. 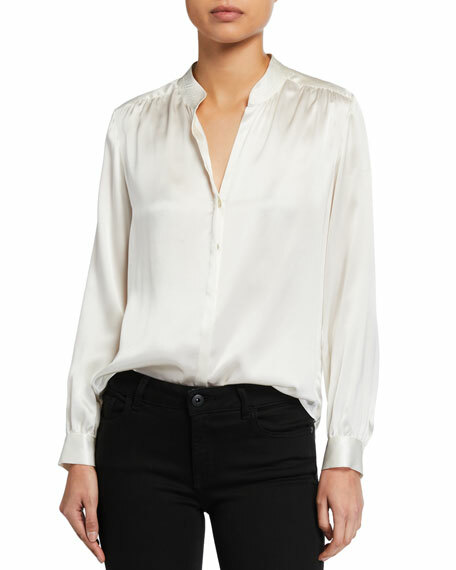 For in-store inquiries, use sku #2607833.